Sometimes a shamelessly silly comedy is all you want out of life. “The Internship” more than fills the bill. Is it cheesy? Heck yes. Is it predictable? You bet it is. But it’s also entertaining and really funny at times. Cheers to Vince Vaughn and Owen Wilson, who gave us “Wedding Crashers” aka one of the funniest films of the last decade. The Internship is definitely no Wedding Crashers, but here’s the thing about screwball comedies: Even when the script is stuffed with formula, the right actors can keep it afloat. Vaughn and Wilson have skills. And by that I mean they can get laughs without even trying. They play wristwatch salesmen who are trying to discover the digital age. How? By trying to win an internship with Google, represented as…wait for it…the best work environment in the world! Complications follow, as if you thought they wouldn’t. But that’s not exactly the point is it? It’s the variations that Vaughn and Wilson spin on this theme that make the movie entertaining. 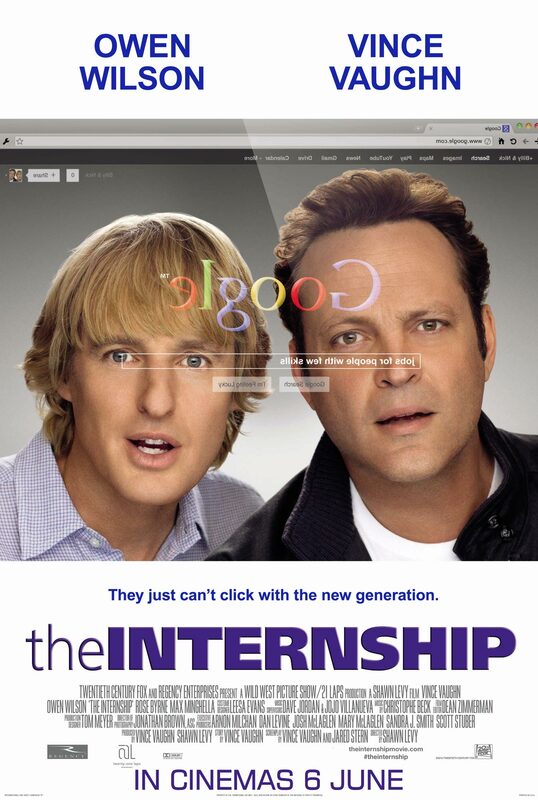 All in all, “The Internship” is pure silliness that slapped a smile on my face. So what if I feel guilty for enjoying it?